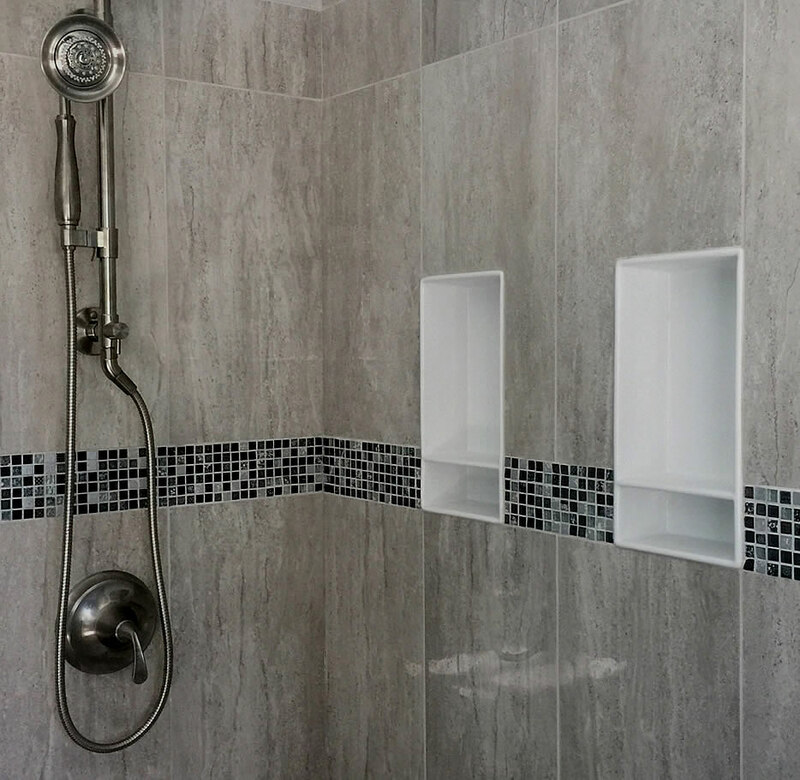 Clean design lines and easy to install. 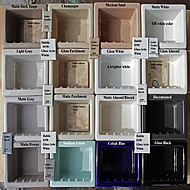 Half the work of installing a conventional tiled in plastic niche. 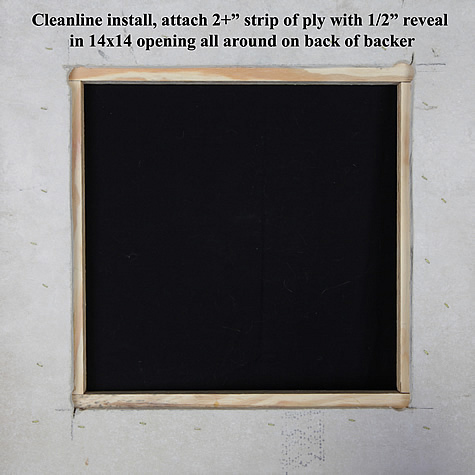 No framing, no leaks, no grout lines, easy to install,easy to clean and pleasant looking. 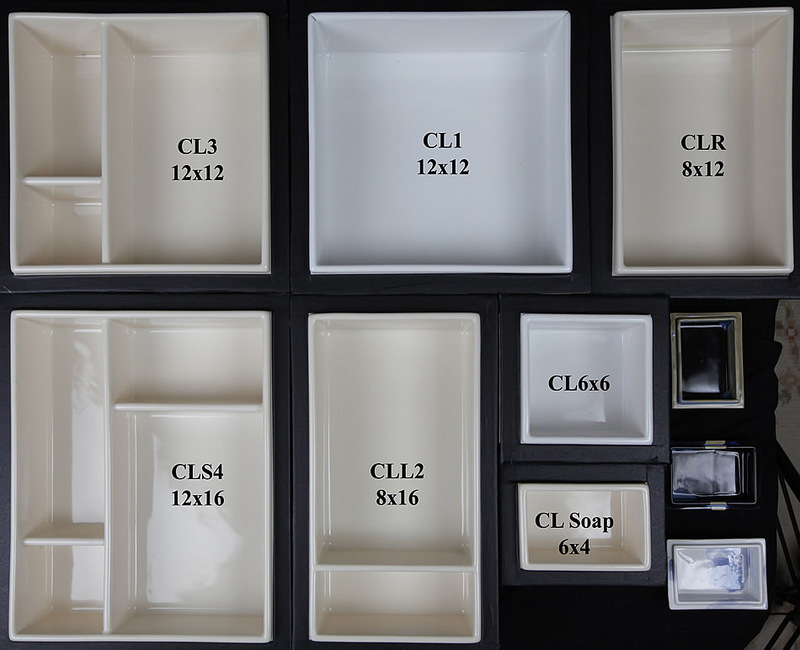 Clean line series of tile ready niches, designed around ceramic tile sizes 12x12, 8x12, 6x6 and 4x6. 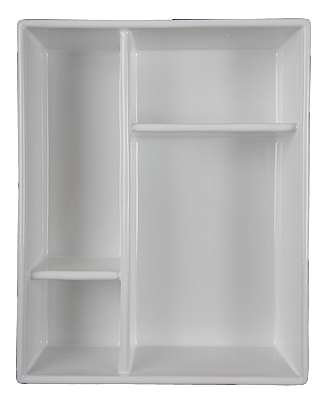 Shown in gloss almond and gloss white. 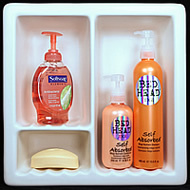 New Largest cleanline super2 compartment tile redi niche, 11 3/4"x 15" tall. 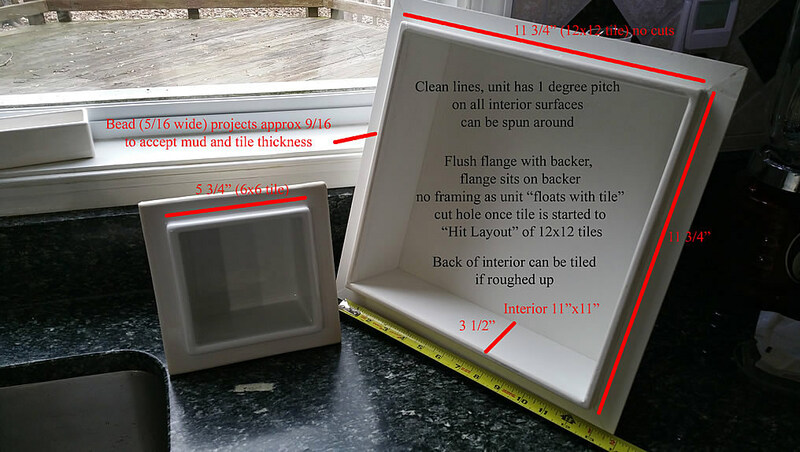 Tile to the "bead" fits 12x12 tile. 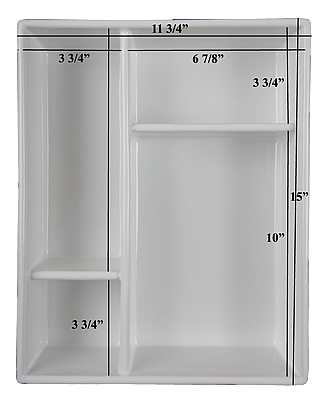 This unit is very hard for us to make, but it is big, beautiful with clean lines. 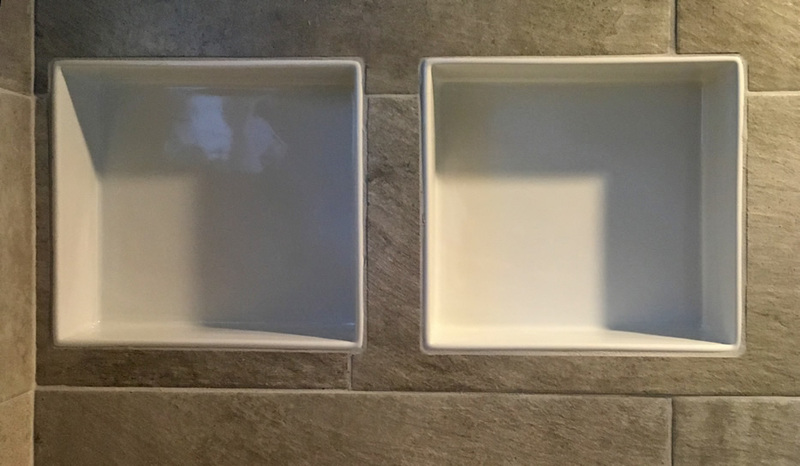 The unit in the middle is the slightly smaller standard Super 2 for comparison, which covers the tile cuts. 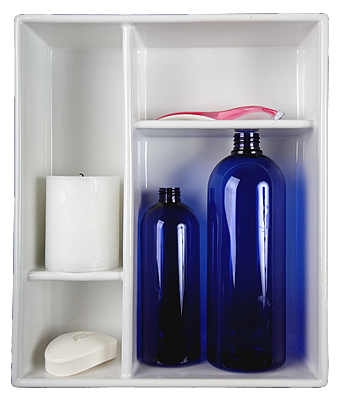 Cleanline Rectangle niche, can be mounted horizontally or vertically for your shower shampoo storage. 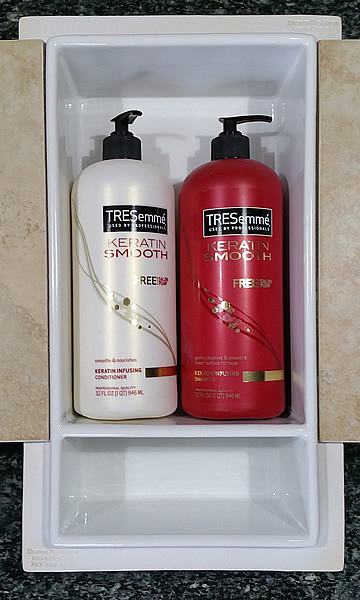 Clean lines modern shampoo niche (12x12), one piece, no leak ceramic. Special order with the 3 led lights. 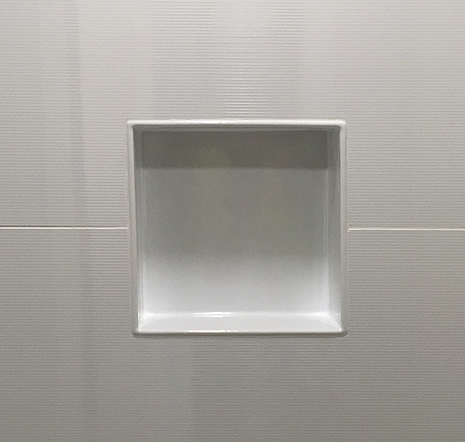 1.Tile up to where the clean line is going, then cut the hole. 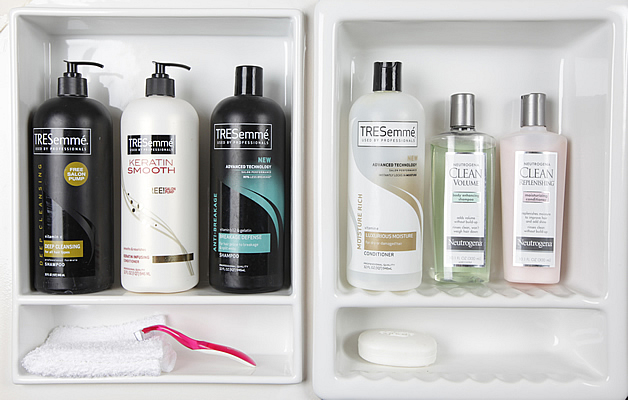 No special framing needed. 2. 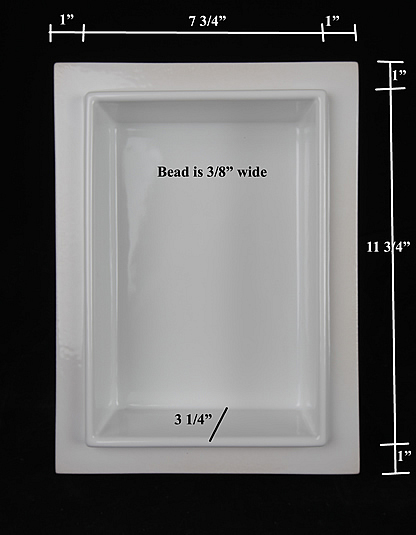 Draw grout lines up wall so you can hit layout with the niches' bead. 3. 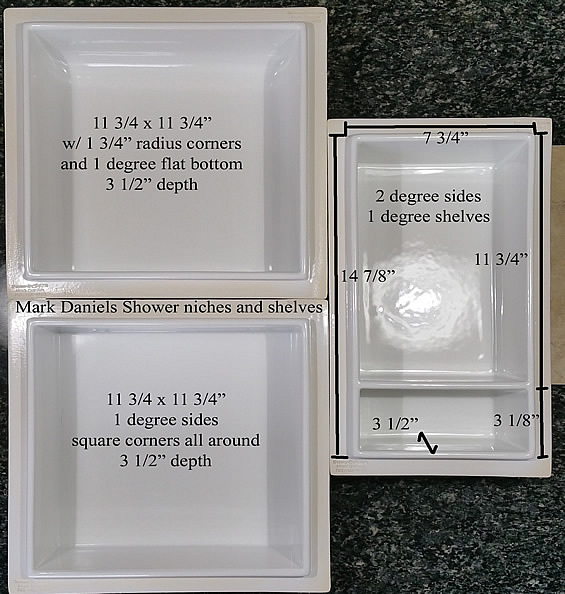 Cut hole 1/8" bigger than outside of flange ( so you can pump thinset around unit). 4. 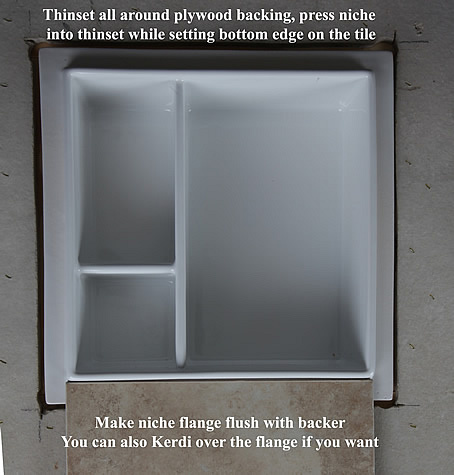 Clean line niche's flange will stand on the edge of the backer board, level. 6. Mud thinset on to reveal area and set cleanline niche into opening and on to tile. Notice radius modern niche at top left, we have a couple of those around. 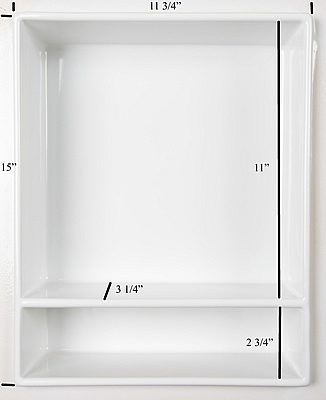 Clean line 12x12 Shower shelves in 50 high end condo bathrooms, Milwaukee,WI. 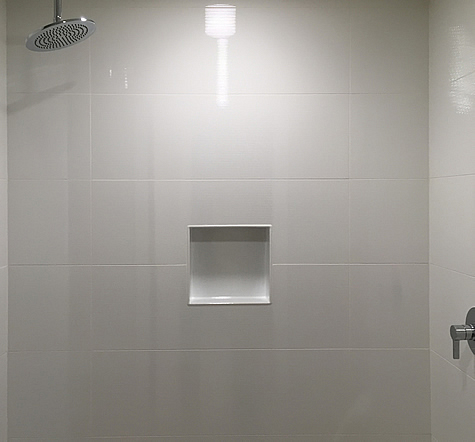 Customer installation picture of 2 clean line 12x12 tiled in niches.